Agape Galleria is an eclectic site featuring Slova Books, Heaven & Earth blog, sculpture, jewelry and other hand-crafted items. Enjoy your visit! Welcome to AGAPE GALLERIA, an eclectic site featuring hand-crafted items, books by select authors, and other items to support the Widow & Orphan Project in Russia. When you purchase an item, you are “shopping for the Kingdom,” helping widows and orphans to build a new life. I hope you enjoy the site. Please leave comments on the contact form or email SlovaBooks@yahoo.com. Thank you! GIFTS for every season!! 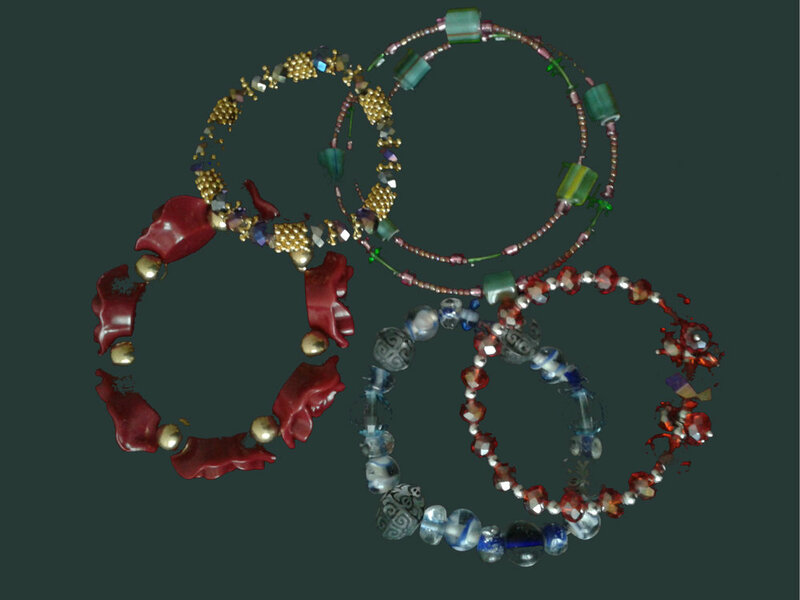 Reindeer Dolls...Agape Tote Bags...Bashkir Woman Sculpture...an NEW glass bead Bracelets! Nearly three years ago, I became fascinated with the idea of writing a memoir, not a full auto-biography but a few slices of life that prepared me for an adventure in Russia. Now Hiding in the Bulrushes: A Personal Exodus from Fear to Shouts of Joy is available on Amazon.com and other book outlets. Writing Bulrushes also presented a problem because my mind became flooded with memories that I haven't thought about in decades. How do I sort through them all and decide what to keep and what o shove back into the recesses of my mind--or how do I deal with them in some other way? Thank goodness for BLOGS! Click on the "Heaven on Earth" Posts in the main menu above to access my inner meanderings, memories, and reflections. Agape Galleria is designed to support widows and orphans in Russia through the promotion of books, jewelry, sculpture and other hand-crafted items. Click on "Widow & Orphan Project" in the main menu above to learn more, and how you can become "involved." To learn how you can get one of these beautiful hand-made aprons for FREE, click here. Every fall, I travel to the U.S. to visit family and friends. After returning to Moscow several years ago, finding an artist’s studio topped my wish list. Surfing the Internet, I found an artist’s studio located in the center of Moscow. I called and made an appointment to visit the artist. With map in hand, I took the underground metro to the center of the city. When I got to Petrovka Street, I couldn’t find Bldg. #26. Spotting a gate leading to a courtyard between Bldg. #25 and Bldg. #27, I decided to investigate, thinking the studio might be tucked away behind one of the buildings. I slipped through the open gate. To my total delight, an outdoor sculpture garden loomed in front of me, bigger than life. I gazed in awe at the oversized sculptures of a famous Russian poet, artists gathering around a paint easel, and an electrifying sculpture of a door to an execution chamber. You can read more about this adventure in my book, Hiding in the Bulrushes: A Personal Exodus from Fear to Shouts of Joy.